Heat oven to 225°F. Line two large rimmed pans with cooking parchment paper; spray with cooking spray. Using a mandoline slicer on the thinnest setting, use firm pressure, and slice apples starting from bottom end into rounds, removing seeds from slices as necessary. In small bowl, mix sugar and cinnamon. 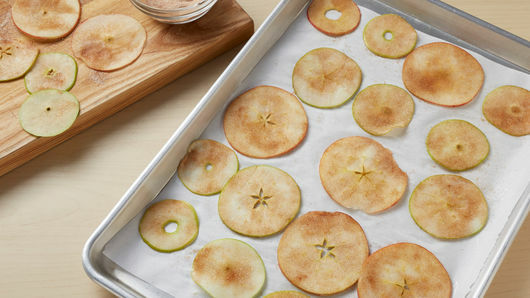 On work surface, sprinkle both sides of apple slices; place in single layer on pans. Bake 1 1/2 hours; rotate pans in oven. Continue baking 1 1/2 to 2 hours or until very dry looking and edges are curling up. Remove from oven. 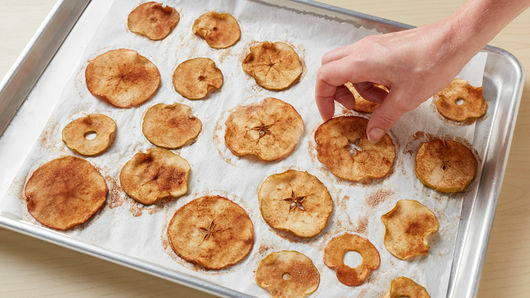 Immediately peel apple chips from parchment paper; gently separate any slices that may be touching. Cool 10 to 15 minutes before serving. Once apples are baked, they will start to pick up moisture and lose some of their crispiness. They are best eaten shortly after making. Test apples for doneness by removing one from oven near end of bake time. 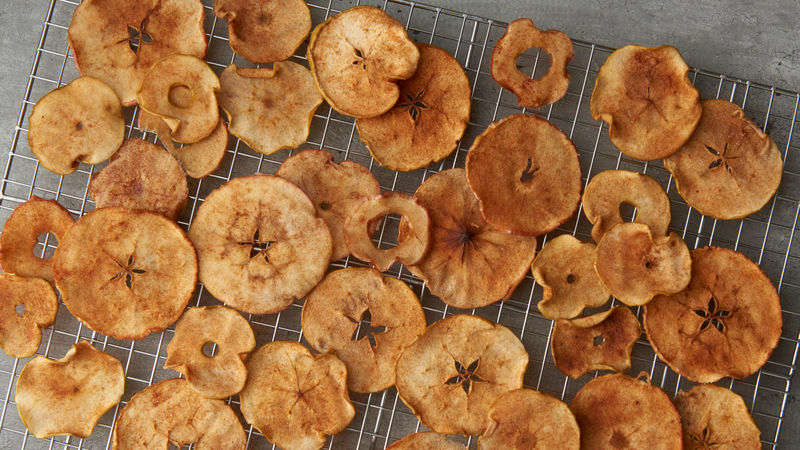 Once cool, the apple chip should become crisp. 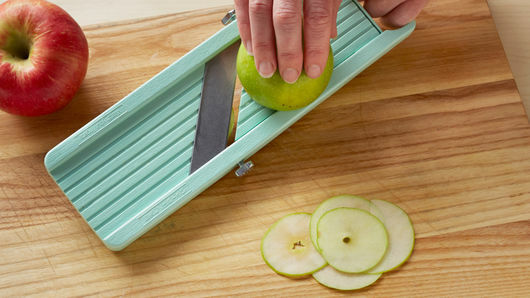 Mandoline slicers are best for ensuring your apples are sliced thin enough to crisp. Some food processors have attachments that may also work for thin slicing.